Hundreds of Subway restaurants across central Pennsylvania raised $30,452 for THON and Four Diamonds at Penn State Children&apos;s Hospital in their latest “Cookie That Cares” campaign. The money was raised during September through the sale of more than 115,000 Rainbow Gem Cookies. 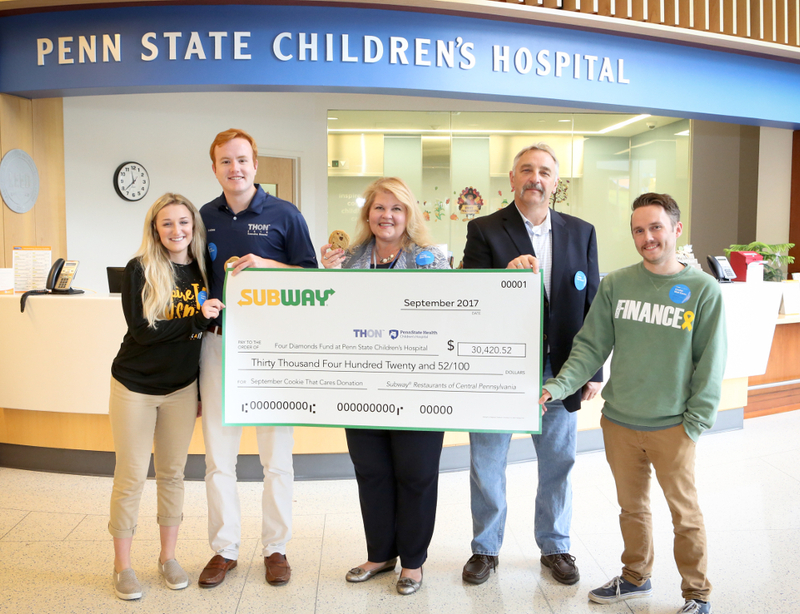 In all, Subway has raised $110,786 for THON and Four Diamonds through four such campaigns since March 2016. Four Diamonds works to conquer childhood cancer by leading the discovery of new and improved treatments for childhood cancer and ensuring that every child treated for cancer at Penn State Children&apos;s Hospital has no out-of-pocket costs.